CAIRO (AP) — Egypt’s crackdown on freedom of expression under the rule of general-turned-president Abdel-Fattah el-Sissi has reached “alarming” and “unprecedented” levels, Amnesty International said Tuesday, calling for the unconditional release of Egyptians jailed for peacefully expressing their views. There was no immediate comment from the Egyptian government on the Amnesty statement, but Cairo authorities have a track record of indignantly dismissing criticism of the country’s human rights record as fabrications. It routinely accuses advocacy groups like Amnesty or Human Rights Watch of being unprofessional or tools in the hands of Egypt’s enemies. International rights groups have pulled their staffs out of Egypt, while their researchers have been denied entry into the country. Some of their websites have been blocked. Egypt, the Arab world’s most populous nation with some 100 million, has launched a massive crackdown on dissent in the five years since the military ouster of a freely elected but divisive Islamist president, Mohammed Morsi. The government has since arrested thousands of his supporters along with secular activists, placed the media under tight control and suppressed freedoms. In recent weeks alone, Egypt adopted a law that empowers the state’s top media regulatory agency to use the “fake news” label to shut down social media accounts with more than 5,000 followers, without having to obtain a court order. Another new law allows blocking websites with content deemed a threat to national security. 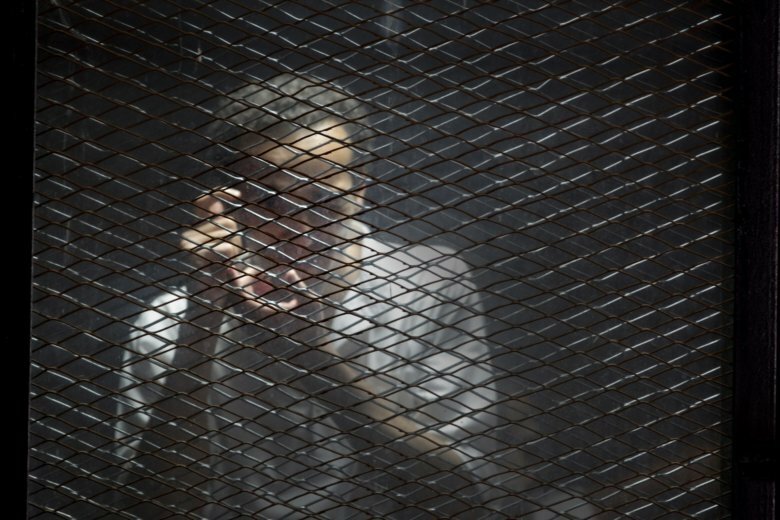 The hundreds of Egyptians detained for speaking their minds in recent years include people from a wide variety of professions, like activists, journalists, human rights defenders, members of the opposition, artists and soccer fans, according to Amnesty. The fearsome crackdown has successfully silenced almost all critical voices in the media, forced many critics to seek refuge abroad or abandon activism and live quietly at home. “Despite these unprecedented challenges to freedom of expression, and despite the fear which has become a part of daily life, many Egyptians continue to peacefully challenge these restrictions, risking their freedom in the process,” Amnesty’s Bounaim said. In response to criticism, the government has insisted that security, stability and improving the country’s ailing economy are its top priorities and has tenaciously advocated the need to put less emphasis on freedoms and more on the right to housing, education and health care. An ambitious fiscal reform program, meanwhile, has meant waves of steep rises in the price of basic goods and services since 2015, compounding the struggle by most Egyptians to make ends meet as well as fueling popular discontent. But there has been no major outbreak of protests, thanks in large part to the police’s heavy handedness in dealing with any sign of unrest. Egypt under el-Sissi has also undertaken an ambitious, multibillion-dollar program to upgrade and expand infrastructure, build new cities, a national network of new roads and tens of thousands of housing units for low and middle-income Egyptians.